Buxton is the highest market town in England, 1000 feet above sea level. Home to the annual Opera Festival, at the stunning Edwardian Opera House designed by Frank Matcham. Set within the beautiful Peak District, Buxton boasts magnificent Georgian architecture, beautiful parks, and, of course, the famous Buxton Spa water. 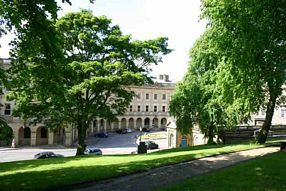 Buxton has something to offer every visitor. It makes the perfect base for exploring the surrounding countryside of the Peak District National Park. If visiting during the summer, be sure to see one of the local Well Dressing ceremonies. This ancient and beautiful custom is all but unique to Derbyshire. 9 Green Lane Buxton guesthouse is a short walk from Poole's Cavern & Grin Low country Park. We are approximately a ten to fifteen minute walk from the town centre and the Opera House, and a four minute walk from the Market Place where there are many pubs and restaurants. 9 Green Lane Bed and Breakfast is proud to be a sponsor of the Opera House. 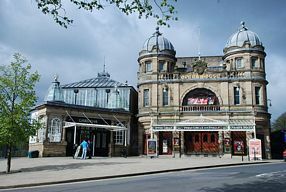 Discounts are available on some performances if you tell the Opera House you are staying overnight in Buxton. 9 Green Lane is delighted to be affiliated with the High Peak Golf Club. Half price on full green fees if booked via us. You can also try the Cavendish Golf Club, designed by Dr Alister MacKenzie. There is a great choice for eating out in Buxton.